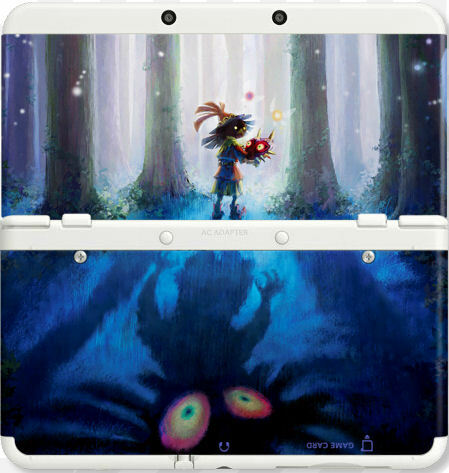 In the Japanese version of this mornings Nintendo Direct, it was announced that a Majora’s Mask themed cover plate was going to be released for the Nintendo 3DS. The cover plate is releasing on February 14th, which is the Japanese release date, and it is set to cost 2000 yen, which is about $17. 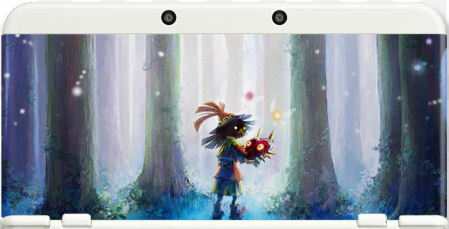 There were also new Pokemon and Kirby plates announced. At this time it is unclear whether we will see these covers here in the West. We previously received Crystal Armor cases back when Ocarina of Time 3D released, so it certainly is a possibility. Make the jump to check out a larger version of the cover plate and the initial tweet.